Your name will appear next to your review or comment, visible to everyone. 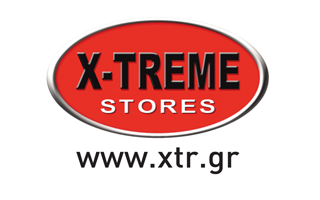 We (Χ-Treme Stores ΑΕ) also save your IP address as a security precaution, but in can only be viewed by our staff. It will remain in our system until you withdraw your consent. If you’d like to have your personal data removed, send an email to order@xtr.gr. Robust and very affordable home solution. It is the ideal model to meet the needs even in a very limited space. Multi-display (time, speed, distance, calories, pulses, odometer). SKF: The true innovation of the X-FIT training equipment is the use of the SKF bearings, which are the most reliable solution in the technical part of each machine, since the user will feel the same noiseless and smooth motion from the very first day to the last one, which it means zero friction and more effective training. Despite their high cost of the SKF bearings, X-FIT workout machines keep the price low and the quality higher than ever. A thing you can see from the first time. Download the user manual below (Greek version).